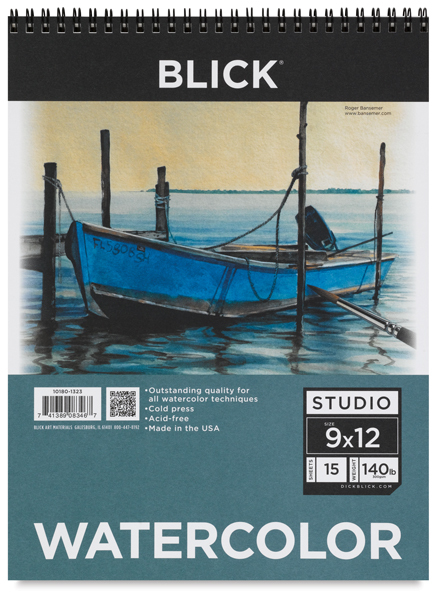 Priced for the beginning artist, these economical pads contain 15 sheets of heavyweight, acid-free Blick Studio Watercolor Paper — ideal for a variety of watercolor techniques! 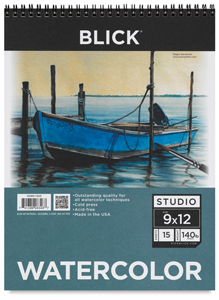 The pads are available in three sizes, in both tapebound and spiral-bound formats. Cold Press. 140 lb (300 gsm).